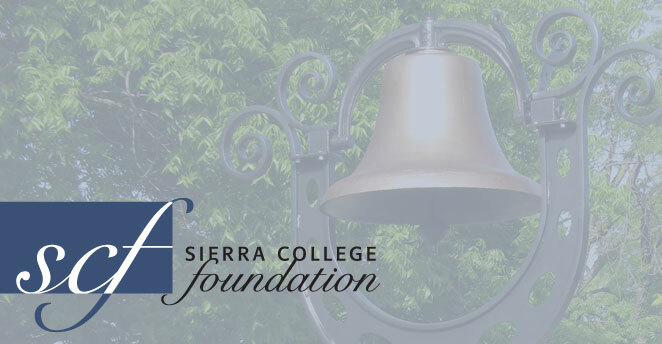 Since 1973 the Sierra College Foundation has supported students by funding their pursuits of a higher education and providing the resources to help guide them toward success while assisting thousands of donors in fulfilling their philanthropic desires. Thanks to the generosity of individuals, businesses, and foundation grants, the Sierra College Foundation has grown along with the college. From its early years when it established its first scholarship, the Sierra College Foundation now awards more than $250,000 in scholarships to more than 200 students each year. The Foundation encourages gifts to enhance college programs, for faculty support, and facility improvements. The Foundation is independently audited and is governed by a volunteer Board of Directors, most of whom live and work in the communities served by the Sierra College District of Placer, Nevada, parts of Sacramento and Eldorado Counties. Contributions to the Foundation qualify for state and federal tax deductions and for estate tax savings.